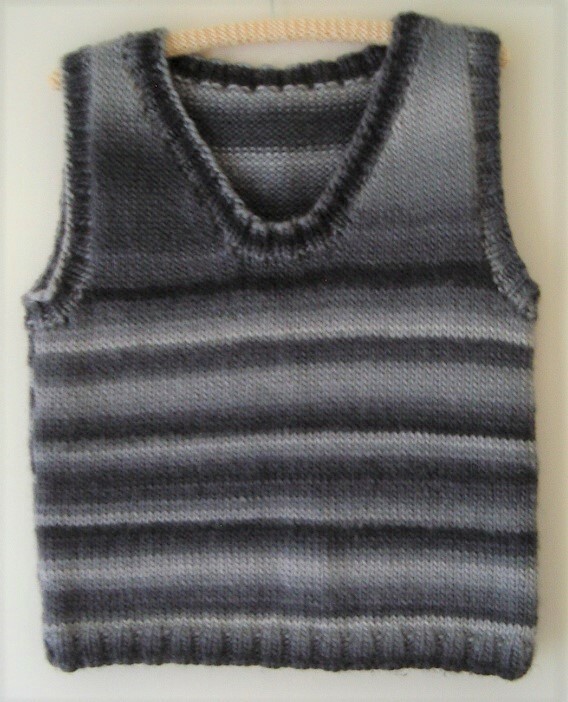 Ladies stocking stitch Vest with 2x2 rib bands, in two styles. 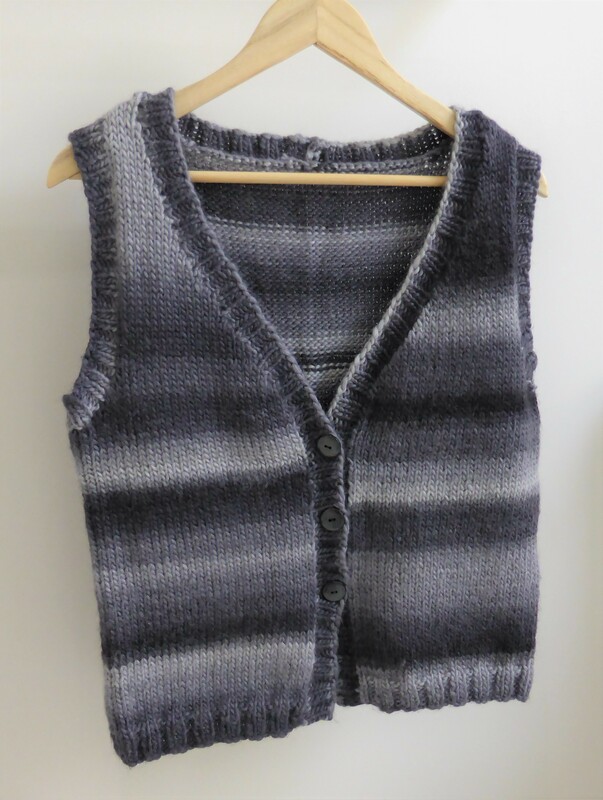 Style A - deep round neck Vest. Style B - V neck buttoned Vest. Yarn required for Style A or B: 7 (8-9-10) balls Lincraft Prism, 50g balls@65m. 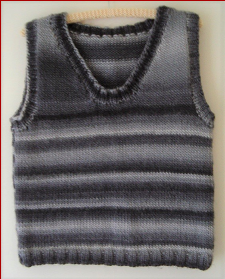 Needles required: A pair of 6.00mm [UK 4, US 10] knitting needles. 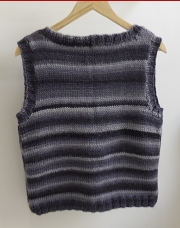 Tension: 16 sts and 20 rows to 10cm [4 ins] over stocking st, using 6.00mm needles.